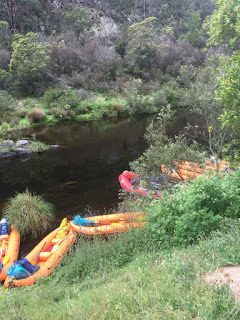 The town of Buchan is a gateway to a number of accessible rapids and falls near the Snowy River gorge. 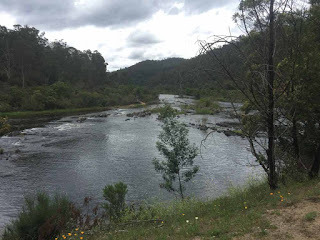 A little out of the town of Buchan, the manicured Buchan River meets one of the great wild rivers of this country, the Snowy River. 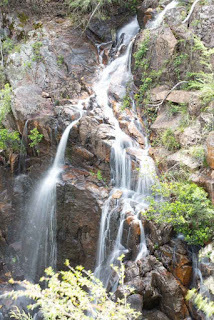 At the agreed place, a grassy clearing called Balley Hooley in a majestic forested gorge, the Snowy River sweeps untamed around a deep bend in a show of sparkling rapids. The Buchan joins the fun, kicking off its pastoral cares in a surprisingly deep and wide valley but, unlike the Snowy, back near town it is dotted with farms and cattle stations, bound by bridges, drained by pumps and stalked by fly fishers. 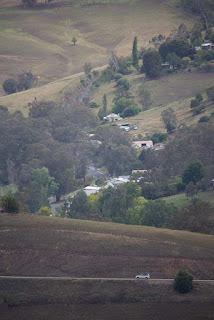 Without regret it leaves the little town, rolling farmland and meadows soft asleep in the deep folds of the valley. Balley Hooley is a nice camping area with soft beaches at the intersection of the Buchan and Snowy. It is a place to launch rafts and a waypoint for river adventures from further up the Snowy. 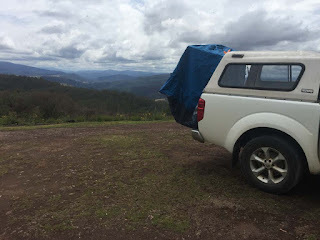 Above Balley Hooley is the high lookout at One Tree Hill, another good camping area. 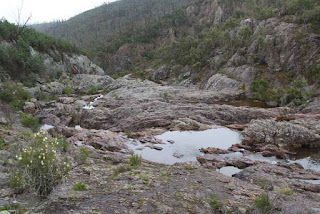 Copper tinted granite and deep pools provide a nice setting for this remote gorge and fall on the east side of the Snowy river. 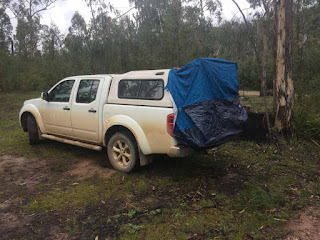 The Raymond Creek Gorge, while physically close to Balley Hooley, is a good half day's drive from here - as the only vehicle access is via the Yalmy Road from Orbost. The walk from the gorge to the pool and then to the Snowy is well signposted, but watch for fallen trees. The fall has a camping ground in pleasant surrounds. 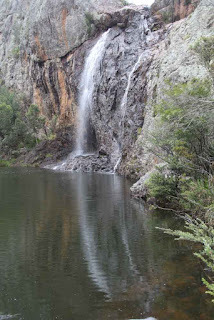 This is a cascade waterfall in the Snowy River National Park. The waterfall is best seen from the base of the fall. 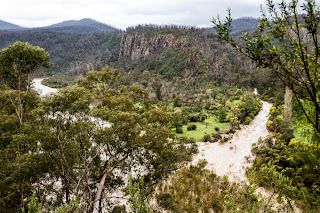 A gravel road and walking trail will take you to the cliff edge, from which you may not be able to make out the waterfall, but you will see amazing views of the Snowy River below. Road access is difficult and very confusing, complicated by the lack of telecommunications facilities. If you are planning to drive here, get a detailed map. Do not rely on road signage. Access to the top of the fall is via the Buchan-Orbost Road near the locality of Wilsons Cave. Follow Basin Road and turn onto Old Basin Road until you come to a confusing 5-way intersection. Ignore the Balley Hooly Roads and the Westlea Road at this junction and instead continue along the indistinct steep Old Basin Road which at this point quickly becomes a dangerous single-lane cliff-edge drive alongside the Snowy River. The drive terminates in a very small car park with signage to a track (a strenuous walk) that will take you to the falls. At the cliff edge there is a sign that points at the falls. Exercise great care at this point. Avoid the area when it rains - in such a case, you will not see the falls, because all the mountain you are standing on becomes a waterfall. A 20m (60')+ stepped fall close to the Buchan-Gelantipy road. 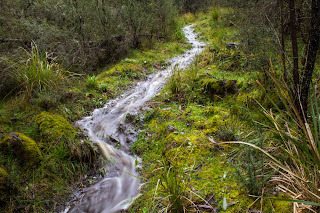 The flow eventually joins the Buchan River before meeting the Snowy River. The top of the falls is accessible in low flows, and has some interesting color tracks. Note also that tree branches get lodged above and inside falls - a reason to take care if considering swimming in pools below a waterfall. 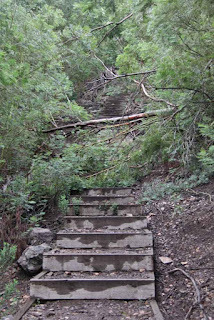 There appears no obvious way into the ravine (perhaps it is possible to follow the creek to the waterfall base from the road at the bottom of the cliff). 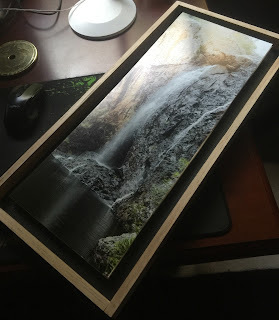 There is an anomaly in the falls, possibly a natural feature. If you look at the lower left rock, there appears to be an eye, which becomes the figure of an Australian 'platypus' when a wider view is taken. I think i see a lot of things that are not really there. Still, if this was a deliberate carving, it caught the movement of the animal rather than its static shape - plus the finer details of the beak. A platypus would not have been able to pass into the upper reaches of this creek because of the falls - they are quite small. Perhaps this is a place where they left the creek bed in dry times and went cross country in search of water upstream.. And maybe that is the reason for a carving? Platypus are very timid and this is the shape i remember when they see me and dive. I wonder if the different rock color is indicative of a harder/softer granite, or maybe exfoliation. The small local community boasts a Buddhist retreat, eco villages and a cooperative, mixed in with older farming stations - all of which have had to survive fire and drought in the past decade. An elderly green warrior took a little time to tell me about this place (a place full of whimsical names, like Mount Seldom Seen) and to warn me about trees that storms had brought down on the roads near the alps. This fall is not signposted, perhaps because parking on the road up the escarpment is very limited. Typical of many basalt falls in the region, this has developed a fan-like shape (which may have contributed to the strange name of the creek) and provides a gentle micro climate for mosses and ferns. 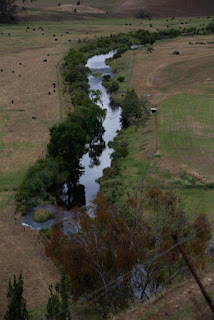 From most vantage points, the Buchan River will be sedate. 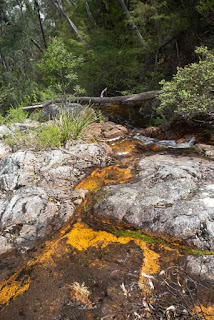 Rapids and a small fall (Spring Creek Falls) will be found within the Caves Reserve (check with the caves house as to whether the fall is flowing). The roads in and out of the valley climb steeply on each side of the town into the surrounding mountains. Coming into Buchan, visitors are presented with two different faces. To rural folk from the surrounding river plains and mountain meadows the town is a place to purchase stores, meet other farmers for a drink, to visit the bush nurse, to pray or vote, or attend school. The rural folk greet each other in familiar terms and anxiously talk about water levels, rainfall and seasonal risks. 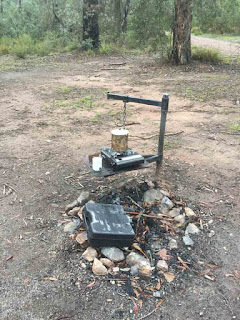 They come into town in utes with trailers carrying plastic water tanks against the threat of fire and leave with flour, sugar and fuel. Alighting from clean city cars, tourists, instead, see a gaudy reflection of how the town once was, in its hey-day, when the young, the rich and the famous came to be photographed astonished by the caves next to town. They imagine themselves, like those who came before, dicing and slicing the cave grottoes for private display and retelling the story back in the city or real time on insta-book. They frame careful questions to storekeepers: “are the falls flowing?”, “are the roads passable?” and “was that soy he just added to the brew?”. It is not clear how many people actually live in Buchan for one is never certain how many hats each wears: now a butcher, next a barista and tomorrow a cave keeper. Today, only during school holidays do the tourists return in numbers, to the dismay of the rural folk who shoo them off private roads and driveways like flies. Other times, Buchan is a quiet retreat, where one may sample the best coffee, buy carefully curated antiques for a song and where the police man mows his own lawn. It is only as they leave that visitors and town folk all see the same thing, a small town nestled in a deep valley with its little river itching to join the wild Snowy.